Amelia Gray is the author of five books, including Isadora (2017) and Gutshot (2015). Her fiction and essays have appeared in The New Yorker, The New York Times, The Wall Street Journal, Tin House, and VICE. 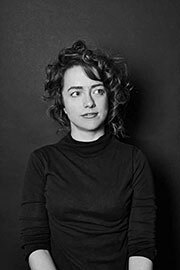 She is winner of the New York Public Library Young Lions Award and Fiction Collective 2's Ronald Sukenick Innovative Fiction Prize, and was a finalist for the PEN/Faulkner Award for Fiction. Gray lives in Los Angeles.